We have all come across the case where an employee is injured at work, but the injury doesn’t seem to arise from something we would consider work-related. The injury could have just as easily happened at some time or place other than while the employee was at work. For example, the worker is walking down an aisle toward his workstation, his ankle gives out, and he falls. He didn’t trip. He didn’t slip. There was nothing wrong with the condition of the floor. His ankle simply gave out. His ankle could have given out anywhere at any time, but coincidentally, it gave out while he was on the clock. This is an idiopathic injury. The general rule for these types of injuries is that they are not compensable because the injury did not arise in the course and scope of employment. It arose because of a condition personal to the injured worker, i.e. some sort of weakness or pre-existing condition of his ankle. However, putting this general rule into practice proves difficult. 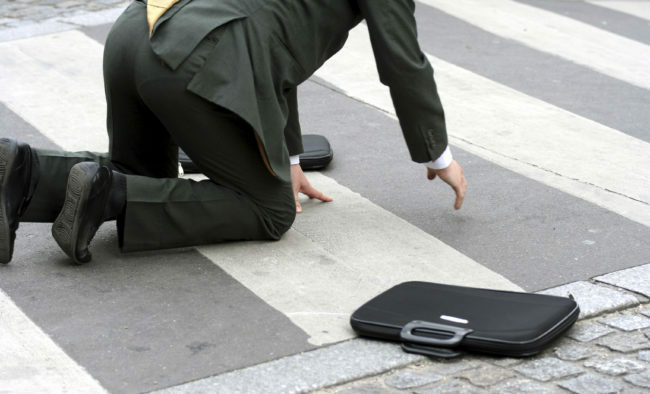 In New Jersey, the burden of proving that an injury was idiopathic lies with the employer. The employer must demonstrate that there was something unique to the worker’s ankle that caused the injury. It is not enough for the employer to prove that there was nothing wrong with the area where the incident occurred. This can be a difficult burden to meet. The easiest way to meet this burden is to find prior medical records that demonstrate that the worker had a pre-existing condition that caused or contributed to the injury. Unfortunately, this type of straightforward evidence rarely exists and, if it does, it is difficult to obtain in a timely fashion. Therefore, the post-incident interview with the worker is of utmost importance. It is imperative to obtain the worker’s statement of exactly how the injury occurred. Did the worker slip? Did he trip? Did He stumble? Was there anything on the floor at the time? What material was the floor made of? Was the worker simply walking and his ankle gave out? The answers to these types of questions will provide the best type of evidence of an idiopathic injury in the absence of prior records. Therefore, it is imperative to memorialize the statement either by audio/visual recording or by signed written statement. In addition to the post-incident interview, the claims team should have the injured worker sign medical record authorizations directed to his family doctor and any other doctor who has treated the involved body part. These records will show whether the worker had any pre-existing conditions or injuries. Any video surveillance evidence should be immediately preserved. Witness statements should be taken. The claims team should obtain an ISO Report to determine whether the worker has any other claims for the involved body part. Finally, if the injury is severe, the team should obtain a medical canvass to determine which doctors and facilities have treated the worker in the preceding years. This type of evidence serves two purposes: (1) it will greatly assist the adjuster in determining whether to accept the claim and provide treatment; and (2) it will greatly assist defense counsel in defending the claims should it ever enter litigation. An unpublished New Jersey Appellate Division decision, Fitzgerald v. Walmart, No. A-1189-14T3 (App. Div. November 20, 2015) demonstrates just how important the initial investigation and worker’s statement can be in successfully denying an idiopathic claim. In Fitzgerald, the Appellate Division upheld the dismissal of the Claim Petition based on the worker’s statement that she did not trip and was simply walking down an aisle at Walmart when she felt a “pop” in his back. In upholding the dismissal, the Appellate Division noted that while walking was clearly within the scope of her employment; the worker failed to establish that she would not have been exposed to the risk, if she was not at work. Thus, because it was just as likely that her back would have “popped” while walking down the street on the weekend as it was if she was walking down the aisle at work, the injury was idiopathic and the Claim Petition was properly dismissed. When there are red flags that indicate that an injury may be idiopathic, the initial investigation can have long-standing implications for the future of the claim. A comprehensive investigation, as outlined above, can help the adjuster determine whether to provide medical treatment and can assist defense counsel should the claim ever reach litigation. Although these claims are rarely straightforward, a thorough initial investigation is essential to obtain the information and evidence necessary to best defend claims for idiopathic injuries.